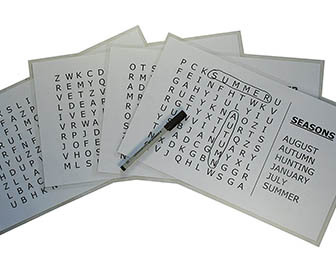 A large print word search for people with visual impairments. Tailored for people with dementia to help keep the mind sharp and active. Also good for people with macular degeneration, glaucoma or other visual deficits. Inexpensive and easy to take anywhere. 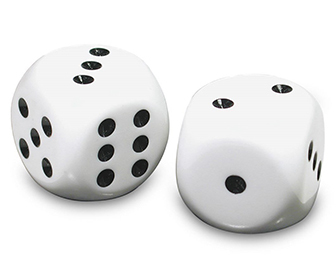 Large dice that makes it easier for people with poor vision to see and participate in board games. Great for people with macular degeneration or other visual impairment that wish to continue participating in social events. 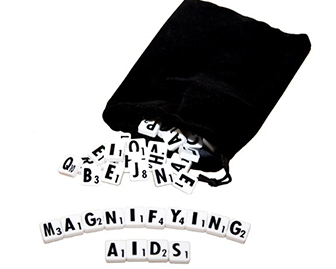 A large print tiles that allows those with visual impairments to participate in the game of scrabble. Great for sufferers of macular degeneration, glaucoma, cataracts and other vision deficits. 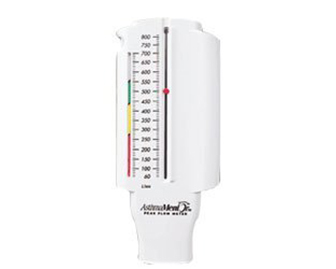 A tool that makes your respiratory muscles stronger and minimizes symptoms of breathlessness. The device provides an adjustable resistance as you inhale through the mouth piece and gradually improves your lung power with repeated use. 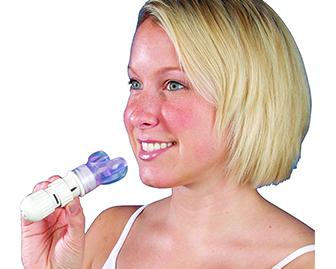 A device used by asthma sufferers to understand their breathing pattern. When comparing results over time, one will understand their personal norm and will see when breathing is diminished more than usual. Great for tracking symptoms. 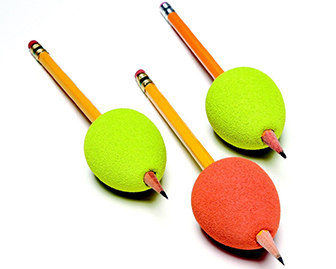 A writing aid that pencils and pens are placed into to increase the ease of writing. This aid gives writing utensils a larger surface area which in turn makes them more easy to hold and use. Great for people with arthritis or muscle grip weakness.